As part of its creative and collaborative project Prada Invites, the Italian fashion house tapped three female architects for its Spring 2019 collection, which was unveiled during Milan Fashion Week on Thursday at Fondazione Prada. Architects Cini Boeri, Elizabeth Diller and Kazuyo Sejima were tasked to reinterpret Prada’s signature nylon textile, creating fashion items that hint at the visionaries’ architectural styles. According to Refinery29, Diller created a garment bag that transforms into a dress, as well as a clutch that looks like a life jacket. Sejima experimented with a variety of “shapes, colors, and sizes,” resulting in “pool float-style bags” called the daln and the yooo. 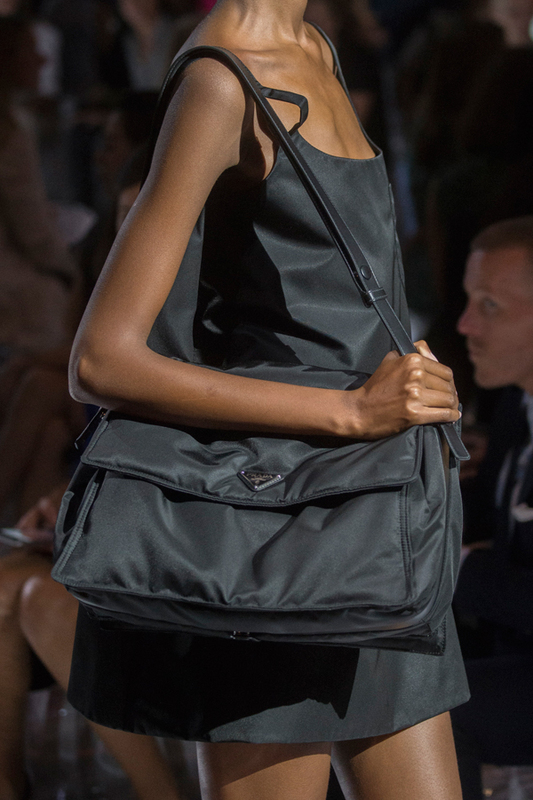 Meanwhile, Boeri designed a “functional black bag” that can be adjusted into a number of sizes. 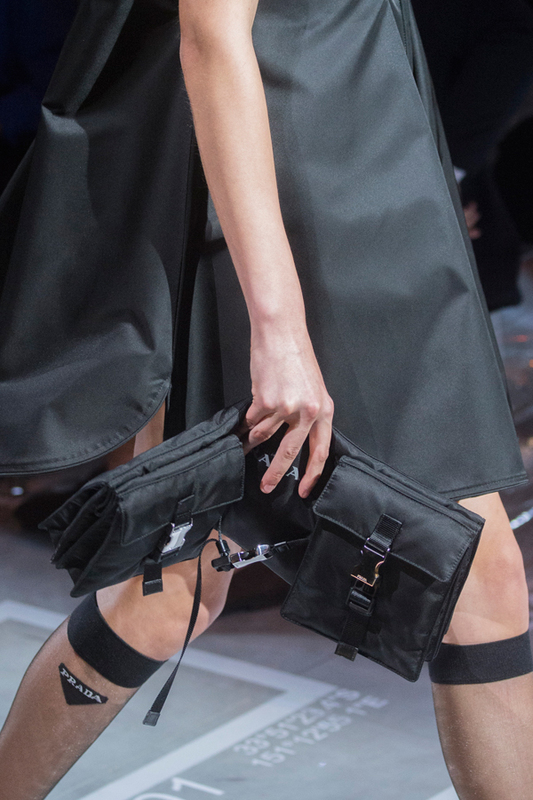 The collaboration is the second installment for Prada Invites. The brand really took it up a notch for Milan Fashion Week, turning the venue into a reinterpretation of “the classical spatial repertoire of the theatre with a Terrace, Parterre and Balcony”. Talk about uniformity! 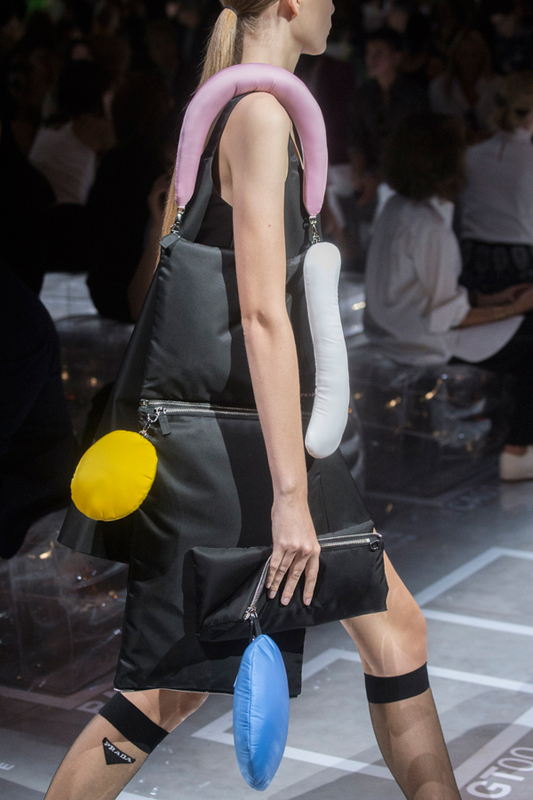 “This new chapter expounds and expands Prada’s ongoing fascination with multifaceted representations of contemporary femininity,” the brand said. 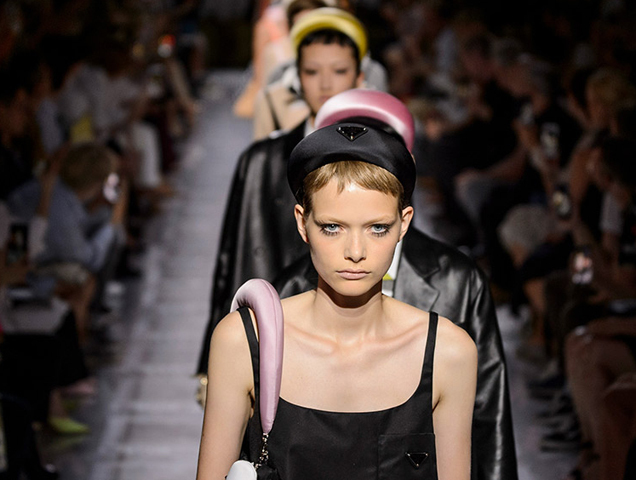 See all the looks from the Prada Spring 2019 show below.